Surely you are often wondering, where to go, what to do in your free time or where to spend your holidays. Slovakia is a country of many beautiful holiday places offering numerous opportunities to have a great time. People of different age and in different life periods are attracted to different things. It depends on whether you prefer just to go on a holiday trip or you would like to spend more time in a certain place. Slovakia is a country where you can spend both, summer and winter holidays, in the mountains or on the watersides. The mountains are beautiful even in the summer season and numerous hotels are ready to fulfil your wishes. 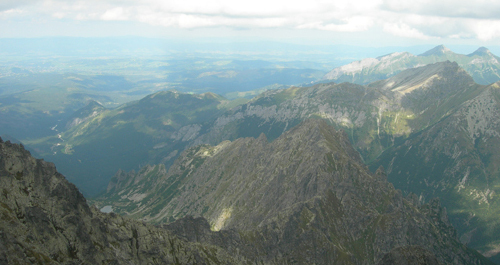 Slovak mountains are ideal for hiking. So let’s take the hiking boots and enjoy the opportunity to admire all natural beauties from the tourist pathways. A waterside is another ideal place for spending the summer holidays. 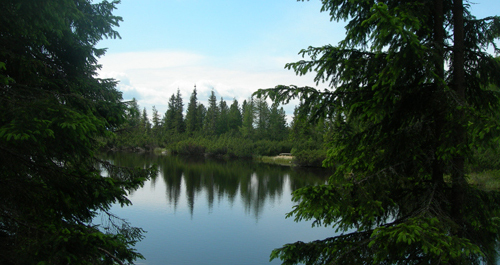 You can choose from water reservoirs where you can enjoy boating, fishing and camping or you can select thermal swimming polls and water parks on your holiday in Slovakia. Many people are attracted by lure of the snowy nature. Slovak winter season is characteristic by white snow-covered mountains offering ideal opportunities for skiing and other winter sports. Slovakia is famous for winter holidays. Water parks in Slovakia are open all year round, you can visited them on your winter holidays, too. You can enjoy great skiing in Slovakia mountains and than relax in thermal water in one of the water park in Slovakia. Holiday accommodation in Slovakia is provided by many hotels and guest houses. If you prefer an absolute privacy, there are many private chalets available in Slovakia. A lot of space has been set aside for camping, especially nearby water reservoirs. Hotels, guest houses and chalets are available in water parks, mountainous areas, nearby swimming pools or water reservoirs and of course in Slovakia cities. If you are a family with little children, surely you look for something that will replace your everyday stereotype and entertain your children for your holidays. There are many ways how to do that. Take your children for a walk around the city; go to a swimming pool or water park where he can enjoy playing in the water. Water parks situated in Senec, Poprad, Bešňová or Liptovský Mikuláš will offer you much more than only swimming in the pool. In Addition, there are many attractions that you and your children will fall in love with on your holidays in Slovakia. Even a visit of ZOO will guarantee you a great holiday trip in Slovakia. A nice walk around ZOO will strengthen your body and your kids will have fun admiring rare animals and playing in the children’s playgrounds. Cinema might be another good idea, especially if there is some good cartoon on. Visit of a Slovakia castle might be also interesting, even more if there’s any extraordinary exposition or exhibition. We can assure you that a park with an open-air tank exhibition will attract only little boys. Every visit of the nature is important for children and their health. Change the city smog, rush and the noise for the clean fresh air of our forests and the quietness of our mountains on your holiday in Slovakia. There are many interesting places to go to. There are even few hiking routes suitable for little children. You will see that every trip to the mountains will raise your spirit and fill you up with new energy. Not only children need change and relax. You should think of yourself too. 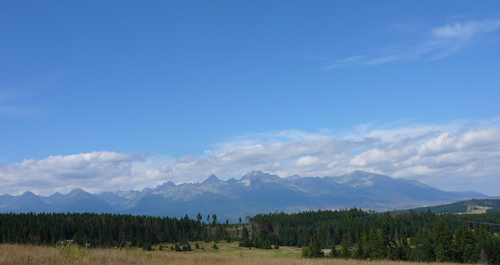 We will help you find destinations and organize the programme for your holiday in Slovakia. 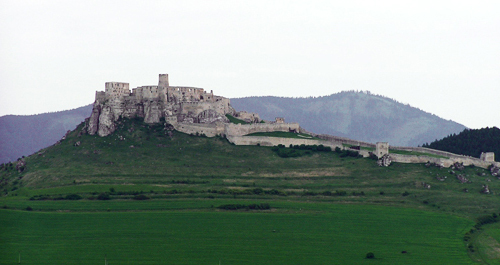 There are many places to see and even more things to do in Slovakia. Our precious historical monuments are there to be seen and admired. Several extraordinary sacral buildings will certainly impress you. Equally interesting will be to see Slovakia fortresses and castles, which will offer you an unforgettable walk along the history of the Slovak nation. Some of them have remained only as ruins, some are home to different museums and their expositions. If you are wiling to learn something about other nations living in the Slovak territory, you should not miss some interesting places situated in the western Slovakia. Many centuries ago the famous Roman Empire was extending there and its boundary “Limes Romanus” was reaching as far as today’s Slovakia. Besides beautiful buildings you can visit botanic gardens or caves in Slovakia. Many impressive historical and modern buildings can be found in Slovakia, not only the sacral ones. There are Lovely cities with nice squares are for example: Trnava, Banská Štiavnica, Nitra, Bardejov, Trenčín, Bratislava, Košice, Levoča, etc you should not miss on your holiday in Slovakia. Culture and art lovers will certainly not forget Slovak theatres, galleries or museums. Open-air museums usually oriented at the Slovak history and customs of the Slovakia region they lie in are also very attractive and not only for tourists. Memorials are other interesting tracks of our history; mostly we talk about the war memorials. They loom over the territories where important historical events took place, for example the memorial in Nemecká or Dukla. Even the legendary Slovak hero Juraj Jánošík has his memorial located behind the Terchová Village. Numerous wooden churches lying mainly in the eastern Slovakia have been rousing interest and admiration for many years. Particularly impressive are historical post-mill and water-mills. Visit of buildings that have been inscribed into the UNESCO World Heritage list may be also very interesting as a holiday trip in Slovakia. Horse-lovers have the opportunity to participate in horse racings; those of you interested in astrology can observe the sky from one of many observatories in Slovakia. You can relax is Slovakia spas; for sports lovers there are sports such as rafting, cycling, fishing, hunting, etc. available in Slovakia.